CoZy BuGz: What Happened In My Premortal Life? This week I'm kinda cheating and cramming two of my lessons together. It'll be a mixture of both THE PLAN OF SALVATION and PREMORTALITY. Found this SWEET handout at Machine Gun Kisses that is the BEST Plan of Salvation diagram I've ever seen. The scriptures that accompany it are PERFECT and it makes an AWESOME companion for independent study. "The Lord has described his plan of redemption as the Plan of Happiness... Conversationally, we reference this great design almost too casually at times; we even sketch its rude outlines on chalkboards and paper as if it were a floor plan for an addition to one's house. However, when we really take time to ponder the plan, it is breathtaking and overpowering!" The preexistence is so mysterious. It's one of those deep subjects you find yourself talking about with your best friend late at night as you gaze up at the stars. It can be one of those overpowering moments where your mind flickers with questions about where you came from and why you are here. I want them to REALLY understand that they existed before this life. 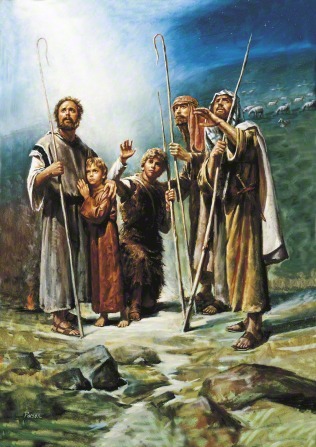 Picture where you were when Christ volunteered to be our redeemer. When Christ was born were you in the choir of angels? Do you think you were weeping when he was crucified? 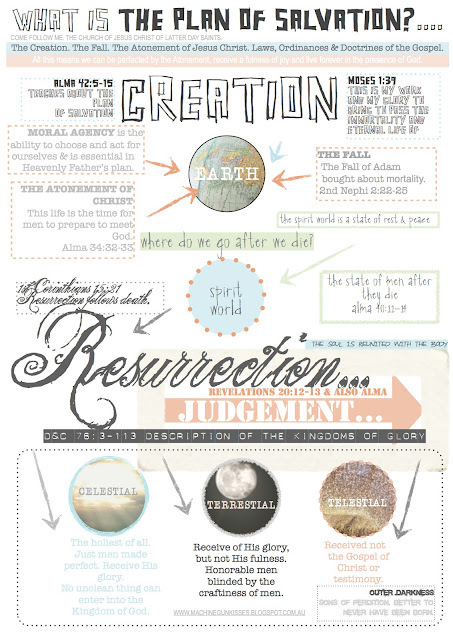 What assignments did you carry out in the preexistence? What experiences did you have with your Heavenly Father? I interviewed my sister-in-law and plan on sharing her story about a time when she hit her head and experienced temporary amnesia. When she went to the hospital she had no idea who she was, how old she was, or the choices she had made in her past. But she did remember unusual things like her morals and her personality. Hopefully I can compare this to us and how we came to earth with a veil covering our eyes from our pre-mortal past. My mom is a music composer. A lot of the time when she writes her beautiful songs, my dad will take it and write lyrics to accompany them. When my older brother left on his mission, they wrote a song to play at his mission farewell. It's a story about two friends who knew one another in the pre-existence. As the friends departed and said goodbye, one asks the other to remember them and to come find them and share the gospel with them during mortality. It's a beautiful song that makes me emotional every time I listen to it. CONFESSION: This is not, not, NOT my picture! I'm pretty sure I found it randomly on google years and years ago and I'm not sure where I got it from. 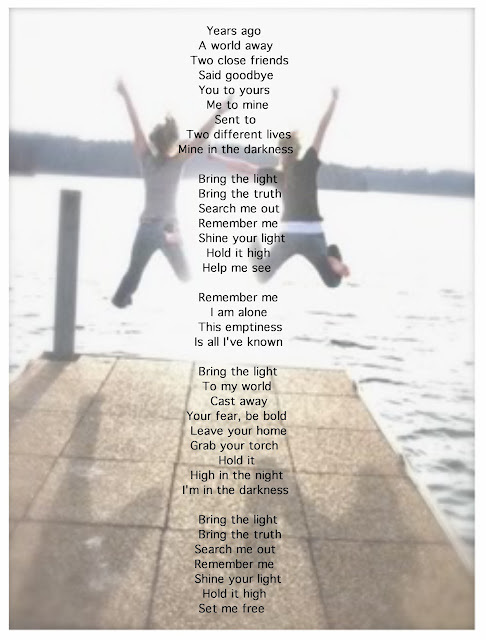 But I went ahead and added my parent's lyrics to it. 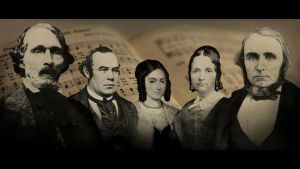 I just discovered the Mormon Channel's History of Hymns Episodes... THEY ARE AMAZING! It gives so much church history that I never would have known otherwise! I'll probably just play straight from the audio so the girls can hear the narrator. It's about a half an hour long, so I think I'll start around 12:20, let them explain the history behind all of the Stanzas, and cut it off early. 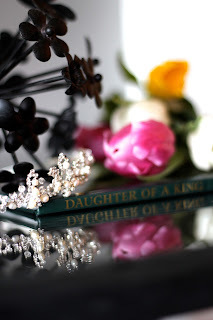 If there's time, the last thing I'd like to do is read from the book DAUGHTER OF A KING. 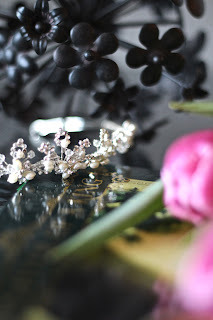 I found my wedding tiara and I'm thinking of making a visual with a "princessie" vibe to help the girls realize who they are and their divine nature. One of my YW advisors when I was younger handed out and framed the "Letter from Heavenly Father" poem for each of us girls. I always had it sitting on my nightstand during my youth and would catch myself reading it from time to time. I want to give a copy to the girls as well and seal it in an envelope with each of their names on it to hand out at the end of class. I remember well the day you left my side, wandered through the veil and ventured forth to fulfill you earthly mission. I had a tear in my eye as I clothed your spirit in a cloak of love and sent you off to school. Be assured that my thoughts are with you now, as always. I love you with all of my heart. I know your life, the good, the bad, your grief, your disappointments, your unrewarded efforts, your frustrations. But always remember--all that I have is yours if you will only come home again. Daughter, realize that in you I have placed a bit of heaven. No one was exempt. I love all of my children. You have some blest gift, some talent, some little part of me in you. Search for it, develop it, use it, and most importantly, share it with others. If you really love me, then help others find themselves and lead them to me. Show your love by serving others. Repent of your failings and humble yourself. Make yourself ever teachable and continually strive to improve. I gave you weaknesses to help you be humble. Don't condemn me for that. I did it because I love you. Be full of hope. Don't let discouragement engulf you. I'll come if you need me. Daughter, cease you idle contentions. Be a peacemaker, for it breaks my heart to see so many of my children fighting. If they could only see what I have hoped, planned and desired for them. My heart breaks as I watch them. But you, faithful daughter, are my hope. It is through you that my work must proceed. You haven't much time and there is so much work to be done. I beg you to get started. Accomplish the mission I gave to you before you left me. I'll help you. I'll never be too busy or too far away to come to you. I'm nearer to you always than you might suspect. I have so much I would like to tell you, but I can't here. Come to me often in prayer. I love to talk to you, my beloved daughter. Be diligent in my work and my kingdom shall be yours. I'd love to take you in my arms, but I too, must wait patiently: that time will come. Till then I leave you my peace, my blessing, my love, and never forget I am nearby whenever you need me. I love you and miss you so very much and, oh, how I am looking forward to your return to me and your Mother. I know I had a loving relationship with my father in heaven in the pre-existence and that knowledge of the plan of happiness helps me to strive to endure so I can live with him and my heavenly mother once again. I know of my divine nature and that I am a daughter of a king. I know of his love for me and I am so grateful for my Savior who atoned for my sins so that all of this may be possible. Without Christ's love and sacrifice there would be no path back and no way to return to our eternal families. I hope we are all able to recognize all of the blessings we have received because of this perfect plan of happiness. The Mormon Messages are so great! My dad always told me to never linger on a teaching activity for more than 10 minutes. Always change it up so nobody loses their focus. Videos make awesome segues between materials.